This Pumpkin Soup recipe is one of the easiest winter meals to prepare and I’ve made it that much more nutritious with added protein, tumeric and essential fats. Pumpkin is a winter vegetable and highly nutritious, full of vitamins & minerals that will help to keep you healthy during the cooler months. 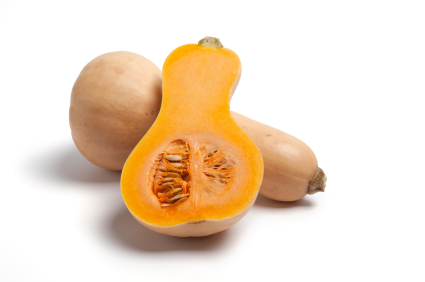 A cup of cooked pumpkin provides your daily needs – 100% Vitamin A , 20% Vitamin C, over 10% Vitamin E, riboflavin, potassium and more – all immune boosting & protecting. I like to keep my meals real, full of flavour and relatively simple – this one is no exception! Preheat your oven at 180C (375F) to bake the pumpkin. Line a baking tray and place cubed pumpkin spread evenly upon it. Brush pieces with melted butter. Bake at for approx. 25 mins or until soft. Using a medium saucepan on medium heat, add olive oil and diced onion and cook until translucent. Remove pumpkin from the oven and place add it to the saucepan with onion. Add the Stock to cover. On a high heat, boil the stock and vegetables for approx. 2-3 mins, then reduce to low heat and add nut butter, tumeric and sea salt while continuously stirring. Once combined, use a hand held blender to mix ingredients and blend any hard lumps to create a smooth, rich soup. Serve in your favourite bowls, topped with steamed green beans, sour cream and shallots. And a slice of crusty buttered bread on the side. Leftovers can be refrigerated in an airtight container for up to 3 days, or frozen for up to 1 month.